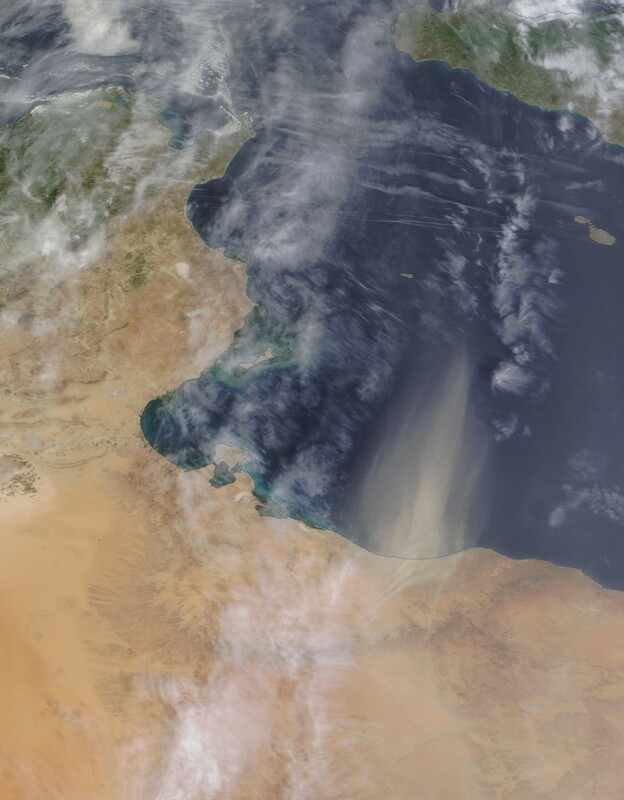 The 18th of April 2016 sees a minor dust plume event over the Mediterranean near Tripoli. The satellite picture from NASA’s EOSDIS is beautiful and shows quite a lot going on here. In fact a depression is forming in the Gulf of Gabes (Tunisia) and it is this weather system that is driving the wind here. As a small scale feature it is not well represented by internet available NWP and is very much on the edge of UKMO Atlantic analysis. 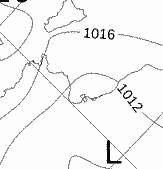 No low pressure is registered here until 20/4/16. The dust wind on this picture would seem to indicate that this is a significant event in the location though. A whole lot of physics happens very quickly in meteorology and nowhere more so than in understanding the output of a weather balloon. 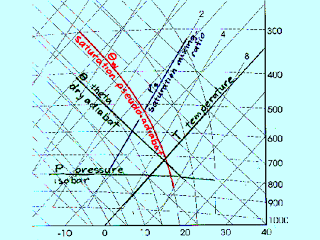 The basic measurements which are plotted are temperature, dew-point temperature and pressure but these are plotted on a complicated graph with many background curved lines. These diagrams are often call ‘Tephigrams’ (in UK) or ‘skew T log p’ graphs (US). Much calculation happens on top of the basic measurements and an example is given below. The basic idea is to compare the measured atmosphere with a theoretical one and then to deduce whether displaced or heated air will rise (giving cloud and rain) or fall giving sunshine. Behind this is the assumption that heat energy is not added or taken away from a region of air as it rises or falls, that is to say in scientific terms that these processes are ADIABATIC. The laws of thermo dynamics tell us that change in heat leads to a change in temperature and work done in terms of expansion of contraction. This complicated equation leads us to predict how the temperature should change with height. The conclusion is that the rising air should cool in such a way that it’s graph follows the ‘dry adiabat’ (see diagram below). When air becomes saturated (clouds form) latent hear is released and thus cooling is reduced. When this is the case the graph should follow the ‘saturated adiabat’ (see diagram below). 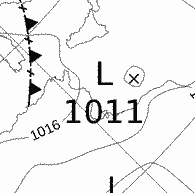 The diagrams I am using on this blog compare the actual graph of the weather balloon with these theoretical lines. If the theoretical lines lie to the right of the actual lines then there is instability and trouble with heavy showers and cumulonimbus clouds. The extent of the trouble can be eyeballed by judging the area between the theoretical atmosphere and the actual atmosphere because areas of these graphs indicate energy. Going back to the example diagram above, the blue area indicates that there is much instability and the potential for heavy showers.